Jim Wyly practices in the area of litigation. He handles a diverse trial practice in Mississippi and Louisiana. As a litigator, he has defended a variety of tort claims, including serious personal injury, property damage and wrongful death claims arising from transportation, professional liability (legal, medical, accountant, insurance and real estate agents/brokers), products liability, toxic exposure, maritime (Jones Act and general maritime law), construction (architects, engineers and contractors) and insurance coverage disputes. Jim has extensive jury trial experience, successfully defending clients in both state and federal courts in Mississippi and Louisiana. Through an aggressive motion practice, he has summarily disposed of many serious liability claims and through negotiation and effective use of ADR, he has compromised numerous personal injury and death claims. 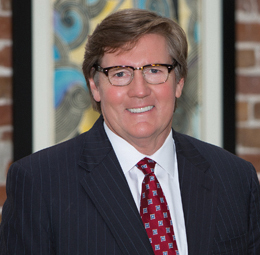 Jim is the managing partner and practice coordinator for the firm's Gulfport office. Successfully defended an insurance company, obtaining a defense verdict, in a Mississippi jury trial in which the plaintiff sought damages for coverage denial to the insured's property after Hurricane Katrina. Successful defense of attorneys sued for malicious prosecution has established favorable precedent for defendants in legal malpractice actions. Obtained several defense verdicts for trucking company clients in jury trials throughout Mississippi. Certified mediator presiding over more than 250 mediations. Negotiated favorable settlements in professional liability claims against attorneys, engineers and architects.